The North Atlantic is one the harshest oceans on the planet. In the early days of overseas travel the passengers were exposed to awful unsanitary conditions and were likely to die of disease or to be shipwrecked and drowned. These were the days of sail and it would take weeks or even months to get from continent to continent. While traveling to Boston, Charles Dickens wrote about his ship and described it as being "a gigantic hearse with windows in the side." And of his bunk he wrote: "Nothing smaller for sleeping in was ever made, except coffins." Even though ships sailed on fixed schedules, out of every 100 ships to set sail 16 would never make it to their destination some vanishing without a trace. Towards the late 19th century travel across the North Atlantic was increasing. Ships needed to be more comfortable, stylish, and fast. Shipbuilders advance to meet these needs and with each advance the voyage across the Atlantic or the Transatlantic run takes less time. Not only did ships need to carry passengers they also needed to carry mail. Ships were needed and so the era of the of the North Atlantic shipping lanes had begun. Thomas Henry Ismay was a Liverpool business man who wanted to seek the most of this trend. 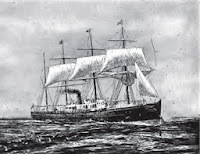 He legally incorporates a shipping line called the White Star Line that he bought cheap in 1867. It was a bankrupt fleet of clipper ships that operated between Britain and Australia. The deal was made in a pool hall where Ismay met two men named Gustav Schwabe and his nephew Gustav Wolff. 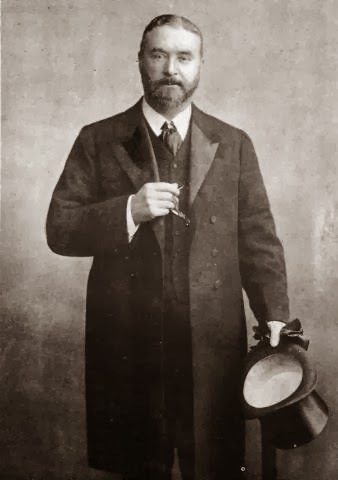 Gustav Schwabe would finance the White Star Line only if Ismay worked exclusively with the shipbuilding firm Harland and Wolff of Belfast, Northern Ireland. Partly owned by Schwabe's nephew Gustav Wolff, the shipyard had an excellent reputation. The new White Star Line orders six liners. The first liner was Oceanic. It was a combination of sail and steam. 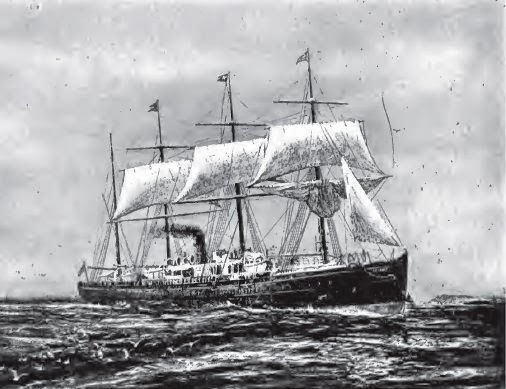 The Oceanic set sail in 1871.